Cooking with flatbreads is an easy way to get a meal on the table when you don’t have a lot of time to prepare something more complex. I am not a big “pizza” fan but I do enjoy them no and then. The rest of the family can eat pizza any time. If I am going to eat pizza I want it to be special and not the basic cheese or pepperoni pizza you find every where. One of my son’s favorite pizza choices is Buffalo Chicken so I thought I would try making my own version. The great thing about flatbreads is that they are versatile. 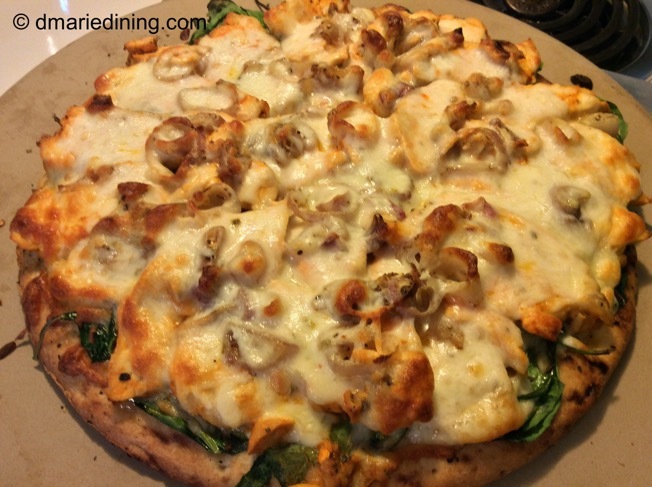 You can use just about any topping you like on the flatbread and it will taste wonderful. Of course you need to add a few seasonings to give it an extra kick. 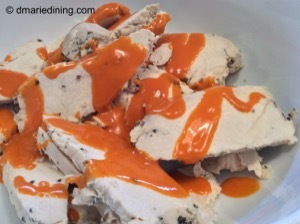 We like spicy flavors in my family so besides using Buffalo wing sauce on the chicken I also added pepper jack cheese and red pepper flakes to the toppings. Depending your tolerance for “heat” you can add or subtract the amount of spice you use. The first time I made my Buffalo Chicken Flatbread we had it for lunch. 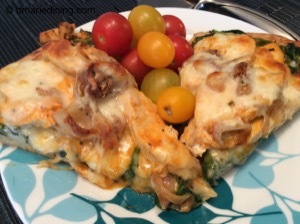 This turned out to be a very hearty meal with the thick slices of chicken, spinach, onions and cheese. Protein, veggies and dairy. What more could you ask for in a meal? As you can imagine we had a very light dinner that night. 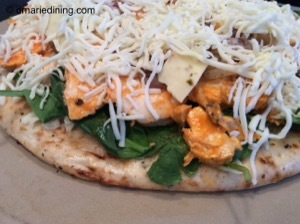 Look for more flatbread recipes on dmariedining.com. You cannot beat them for a healthy, quick and easy meal!